Polka Dot Easter Eggs! Need I say more. These little guys are so adorable. Follow the tutorial below. 1. 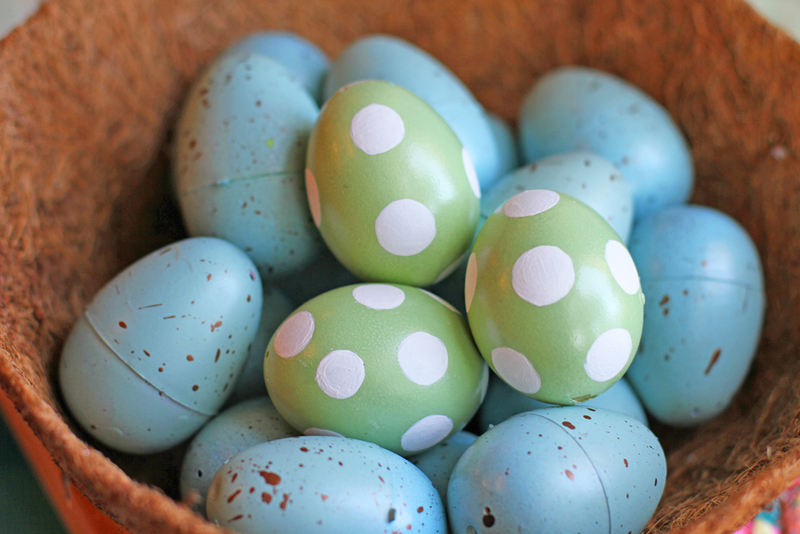 Spray paint your blown out eggs with mint green spray paint and let dry. 2. With the eraser tip of a pencil dip the eraser in white paint and press it directly to the egg. Repeat all over and let dry.